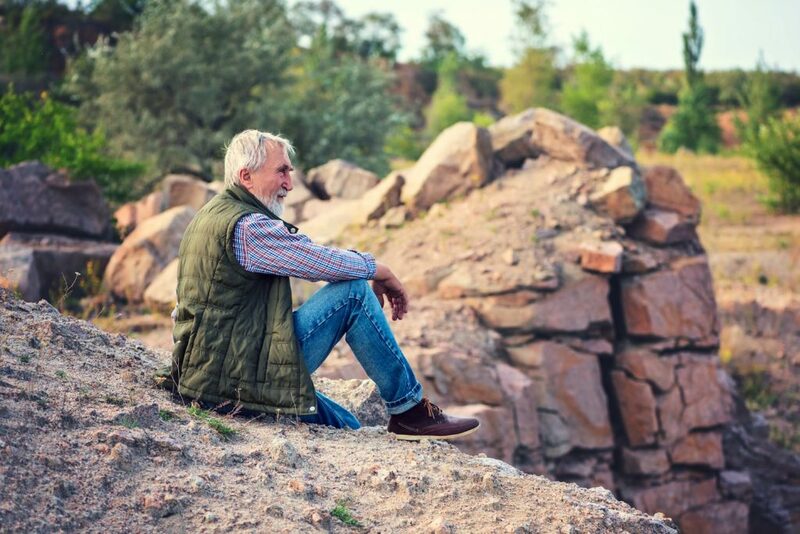 Whether your heading on a African safari, on a hiking trip in Australia, or anything in between, bringing along a high quality travel vest is a smart move. Not only are travel vests lightweight and packable, they also have lots of convenient pockets, allowing you to carry pretty much anything you want on you at all times. However, with so many travel vests on the market it can be difficult figuring out which one to get. 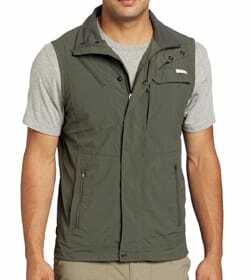 To make your life easier we have listed the best travel vests for you below. 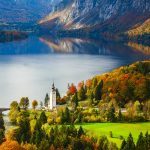 Below is a list of the best vests for travel. 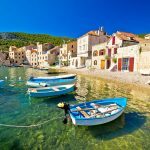 Click on the name to read reviews and check prices. Travel vests come in several different materials. 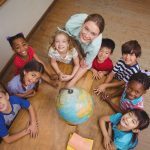 Some of the most popular are nylon, polyester, and cotton. 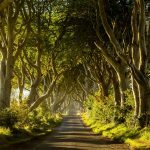 Consider the type of weather you’ll typically be traveling in to help figure out which material may be the best. If you heading to tropical places, then nylon or polyester are probably better material choices because they dry quicker. 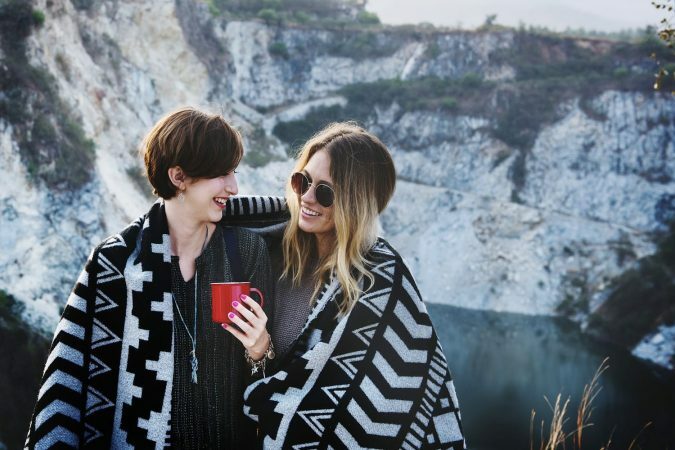 But if you’re planning a trip to Iceland or other cold climate destinations, then a cotton vest might be the better choice. It’s also important to make sure your vest is made from high-quality materials to ensure it lasts as long as possible. When you pick a vest from our list below, you can be confident in the quality. As mentioned before, materials like polyester and nylon dry quicker than cotton. 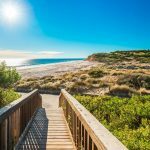 If you’re only going out for a day trip, then a quick-drying material may not be important for you. 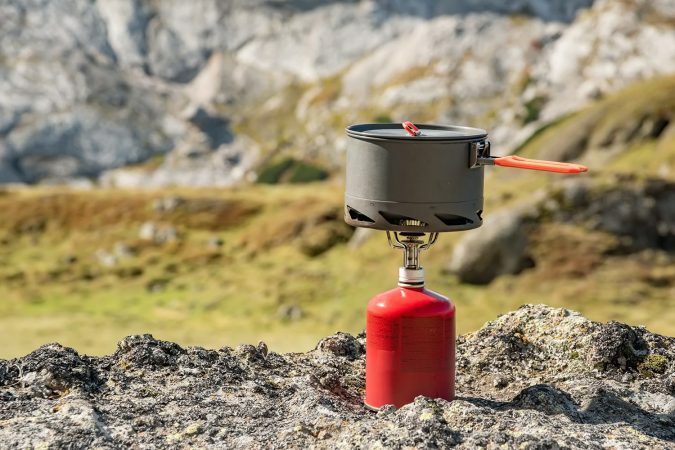 However, if you’re heading somewhere like a camping trip where you’ll need to wear it again soon but may not be able to wash it or hang it up, then it’s probably best to make sure you buy a vest that’ll dry quickly. 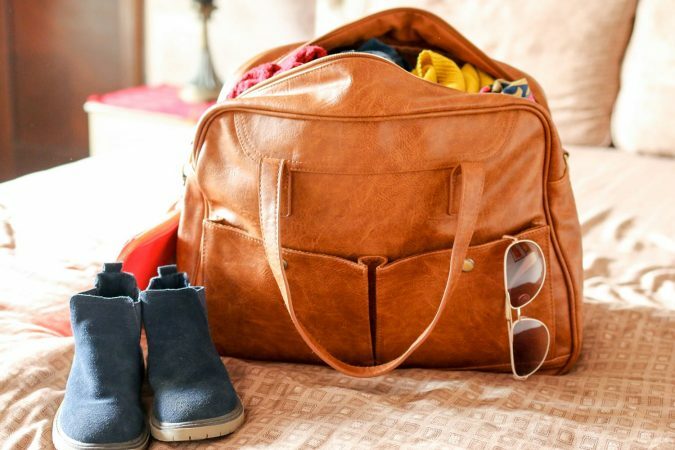 One of the main draws to a travel vest over something like a travel jacket is the amount of stuff you can carry. These vests are designed to remain comfortable while carrying several different things. A good amount of pockets is important to be able to keep all of your things safe and protected. If you’re a fan of traveling with lots of your gadgets, then there are some tech-inspired vests that might have around 26 pockets and hidden conduits for your wires and cables. 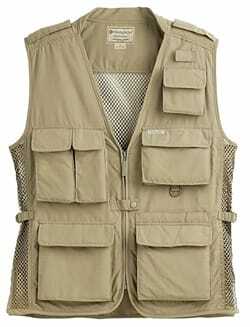 If you’re planning a photo safari and want several pockets, but maybe not 26, there are other vests with 11 or so pockets that may be perfect for you. If you’ll be carrying around your passport or credit cards frequently, then it may be a good idea to look into getting a vest with this protection. Is it comfortable? If you think it’ll be practical but not comfortable then don’t get it. Whether you’re traveling through a city or hiking a trail, an uncomfortable vest can put a huge damper on your trip. Keep your travel vest looking good and feeling good for as long as possible by making sure it’s water-resistant and stain-resistant. This is beneficial because even if your vest gets wet or something spills on it, it’s designed to prevent the liquid from soaking into the vest. This is important for the safety of your belongings. High-quality zippers make it tough for pickpockets to get to your belongings. Velcro is helpful too, but it’s not as secure as zippers if you’re walking through a crowded place. 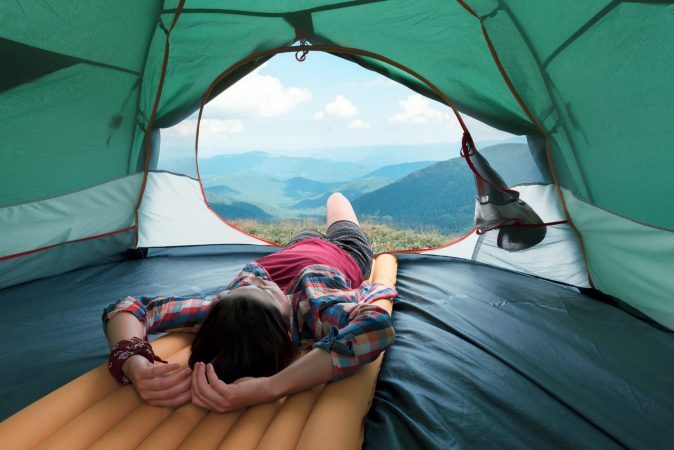 If you’re heading out hiking and theft isn’t a huge issue, then velcro should be fine. My only caution is that rain can mess with the velcro after a while. Without further ado, here are some of the best travel vests for men and women. With solid pocket space, Omni-Wick moisture technology, and UPF 50 blocking power, this men’s travel vest is a great option when you’re adventuring through mild weather. This vest pretty much allows you to leave your travel wallet at home for the day because of its mesh pocket bags as well as hand pockets and a security pocket that have zippers. Not only is the vest durable because it’s 100% ripstop nylon, but it’s also comfortable and moves well with you when you’re doing activities like hiking. If you’re looking for a high-quality, affordable, lightweight vest with pockets, go for the Columbia Men’s Silver Ridge Vest. When it comes to a men’s travel vest with pockets, Weekender has surpassed the competition. You’ll have a pocket for everything from your portable camera to your water bottle. Not only are there pockets for all of your travel gear, but the vest has been designed with your comfort in mind. It’s equipped with adjustable side tabs as well as rubber shoulder grips and shoulder padding to reduce tension. The quick-drying vest is also water and stain-resistant, so you don’t have to worry if you get caught in a rain shower. Whether you’re hiking an active volcano in Indonesia or camping in Big Sur, the Weekender Men’s Traveler Air Travel Vest is definitely one you should consider. If you love taking pictures and going on African safaris, then the Fox Fire Ultimate Travel Hiking Safari Vest may just be your new best friend. 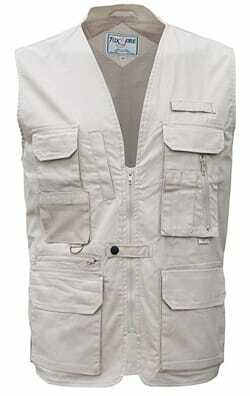 This cotton vest is equipped with plenty of pockets as well as a waist adjuster to make sure it stays snug. You’ll appreciate the fact that there’s a mesh back, so if the temperatures start to rise, you’ll have good ventilation. 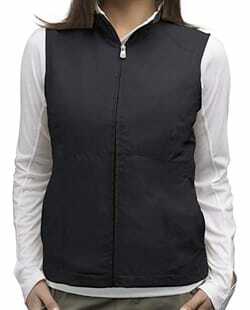 There are three different colors choices, making it a great travel vest for women and men. With a great design and raving reviews, don’t be surprised when it becomes your go-to vest. 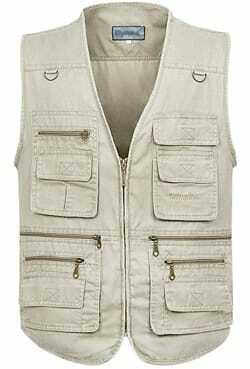 One of the best safari vests you’ll find, it has more than enough space for everything you need. You’ll have 16 pockets that are secured with either velcro or a zipper so you can be confident your things will stay secure. The polyester makes it quick-drying and water-resistant. If you’re preparing for a warm day, the back shell can be zipped into a pocket revealing a mesh backing to keep you cool. Autumn Ridge Traders has made a well-designed vest that’ll hold up to the elements and keep you comfortable while you’re having fun. This multi-purpose traveler’s vest has proven itself as an ideal option for everything from camping and hiking to fishing and cycling. 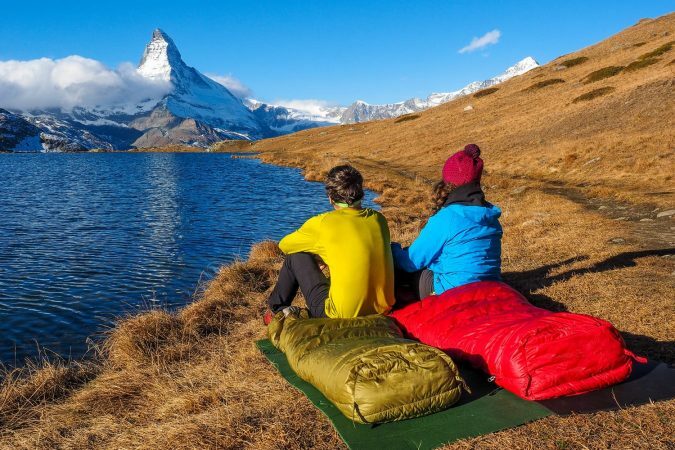 It has a mid-length design that comes in a variety of colors and because of its high-quality construction you should be able to wear it for countless adventures. Of the 16 pockets, four of them are inside pockets if you’d like to conceal some of your belongings. Not only is this vest practical for all of your adventures, it’s a great value and won’t break the bank. Ensure your possessions and private information stay secure throughout your travels when you wear the SCOTTeVEST Men’s RFID Travel Vest. 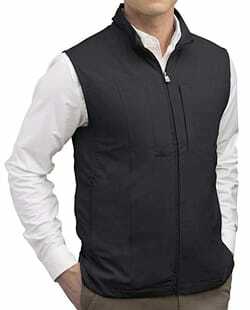 One of the best travel vests on the market, it has a number of features you’ll absolutely love. 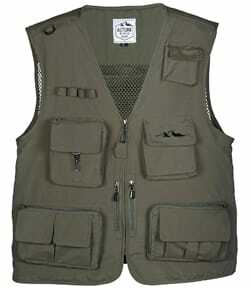 The Teflon-treated polyfabric allows for the vest to be stain and water-resistance as well as machine washable. The 26 pockets are perfect for tech-lovers as its equipped with everything from a clear touch pocket for your phone to the ability to run your headphones or other cables through the hidden conduits. The gadget-friendly vest is designed to balance the weight in order to keep you comfortable while you travel around. If you plan to frequently carry around your electronics, this is an excellent traveling vest to add to your travel gear collection. This women’s travel vest is hard to beat. With 18 total pockets of varying sizes, the largest pocket can even fit a tablet or small travel laptop. The Teflon-treated polyfabric puts it among the best lightweight travel vest choices on the market, and you can rest easy as the vest is machine washable, water-resistant, and stain-resistant. Thanks to the hidden conduits, you can keep your phone plugged into your portable charger while keeping them both in your pockets. An RFID-blocking pocket as well as a clear touch pocket are some of the additional conveniences people love. Always keep your most important gear close to you and get through airport security in a breeze with the SCOTTeVEST Women’s RFID Travel Vest. There are a lot of women’s vests with pockets available, but this one is both practical and stylish. 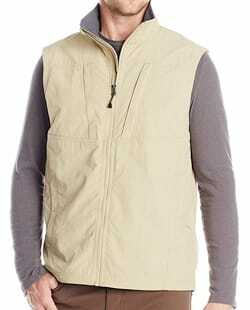 This nylon vest comes in three different colors and has a collar lined with microfleece. There are 11 pockets, including one with RFID protection for things like your credit cards. The sunglasses pocket is even lined with microfleece to help prevent scratches. The vest is lightweight and folds up well when you need to stash it in your carry-on luggage or travel backpack. 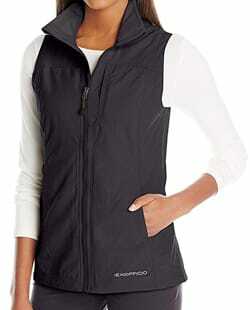 For style, practicality, and warmth, check out the ExOfficio Women’s Flyq Lite Vest. This polyester vest can give you everything you want in a travel vest with hidden pockets. In addition to the two security zipper chest pockets, you’ll have 11 interior pockets to keep your most important belongings on you; there’s even a clip for your keys. The collar is lined with microfleece and the vest has a drop-tail hem for extra coverage. 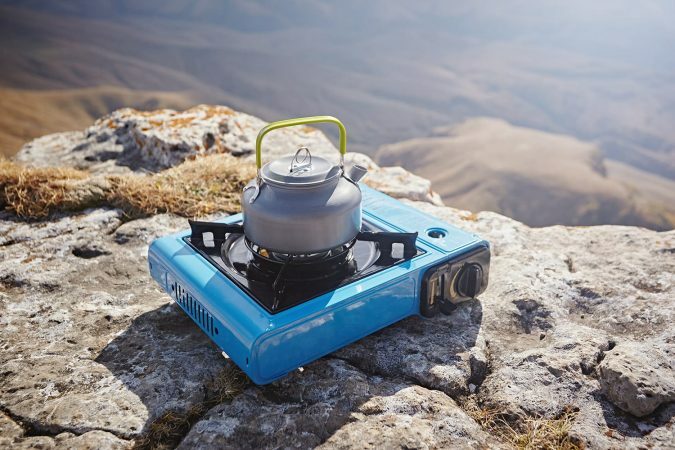 The Teflon finish means you can remain calm when there’s a spill or a little rain. The ExOfficio Men’s Flyq Lite Vest is an ideal travel vest for men adventuring through mild weather who don’t want to carry around a wallet or a daypack. 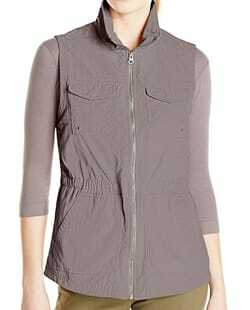 The Columbia Women’s World Trekker Vest has all the features you’d expect in a quality travel vest. The nylon vest has a mesh-lined interior and several multi-purpose pockets, including one for your passport and an interior security pocket. The Omni-Shield advanced repellency helps prevent liquids and stains from absorbing into the vest. Whether you’re checking out San Francisco, exploring Melbourne, or anything in between, this vest will keep you comfortable throughout your travels. You’ll never travel the same again once you get your travel vest. It makes everything easier as you can have everything you need on you and you’ll love having your hands free. Now that you’ve discovered the wonderful world of travel vests, all you have to do is pick your favorite. 5 Robin Gilmore Vests for travel, hiking, safaris, etc.